As the country is all get up for upcoming Lok Sabha elections, Bhartiya Janta Party is yet to release its first list of candidates for the upcoming polling on April 11 . 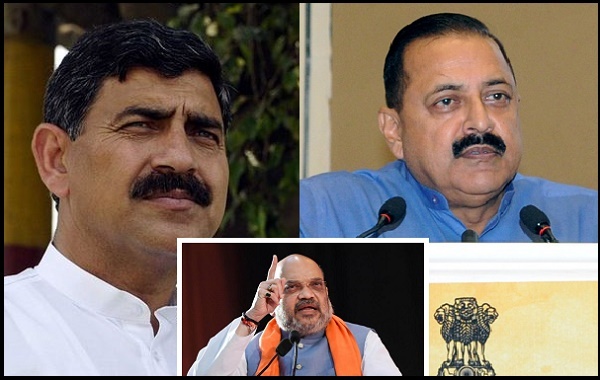 In a meeting held in New Delhi with senior Bhartiya Janta Party leaders of Jammu and Kashmir, no consensus was made as Amit Shah was not of the view of repeating ticket to sitting Bhartiya Janta Party MP as the ground report from his constituency speaks different than his own tunes. Senior BJP leader in New Delhi on the condition of anonymity told Universal News Timeline that Amit Shah was not in favour of repeating the ticket to last time winning candidate. However One Senior minister in the Modi cabinet who himself got into the cabinet through Rajya Sabha pushed hard to repeat the ticket for this MP. Sources revealed that performance graph of the said MP during his "High Profile" tenure has been low and the inputs shared by ground workers of BJP and RSS are also not going in his favour. The decision for all the Lok Sabha seats of Jammu and Kashmir is likely to be taken along with other 12 States whose elections are to be held in the very first phase of seven faced Lok Sabha polls. While for Jammu-Poonch Lok Sabha seat, RSS has already asked Ravinder Raina to step back keeping in view upcoming Assembly polls in the State, making way clear for sitting MP Jugal Kishore.